Emergence is the debut book-work by Brooklyn artist Mark Dorf, as well as the introductory volume of In the In-Between Editions, a limited edition book series that features artist portfolios and accompanying essays. Mark Dorf’s series Emergence utilizes photography and digital media to scrutinize ideas of landscape, sublimity, and scientific inquiry within the context of our data-driven information age. In this work, Dorf adopts the classical genre of landscape as a point of departure to analyze how new media technologies have significantly altered the ways in which we understand and think about the natural world. 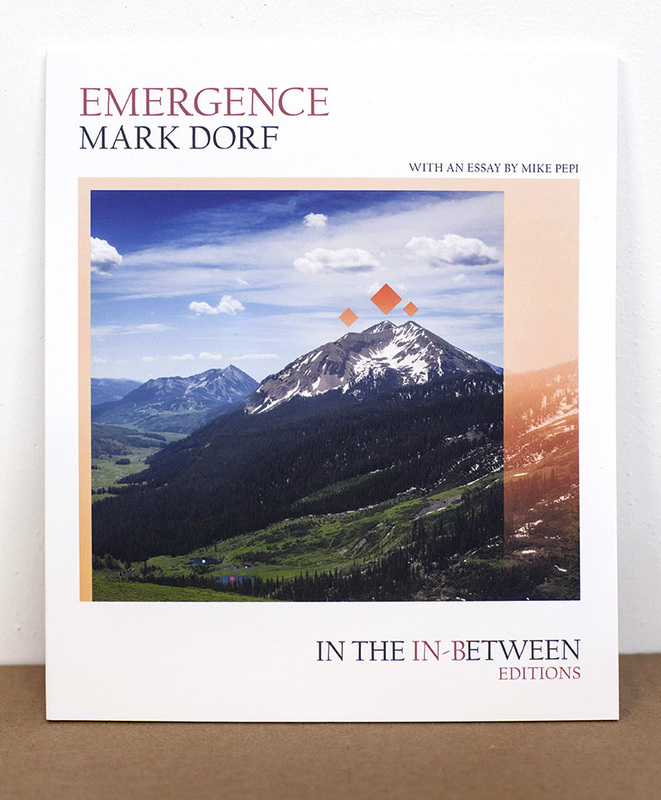 Mike Pepi, writer and critic, accompanies Emergence with an essay entitled, “The Data Fields of Mark Dorf,” which examines Dorf’s work through a prismatic perspective of classical scientific inquiry, contemporary information theory, and critical analysis. Pepi has written widely on aesthetics, digital technologies, big data, and new media theory in such publications as frieze, e-flux, Flash Art, Art in America, DIS Magazine, The New Inquiry, The Art Newspaper, Big Red & Shiny, The Brooklyn Rail, Rhizome, and The New Criterion. Volume I is limited to 150 copies in its first edition, and each copy is individually signed and numbered by the artist.